← I may not have used any vacation days, but.. I just finished watching Once on my Netflix and am just charmed. 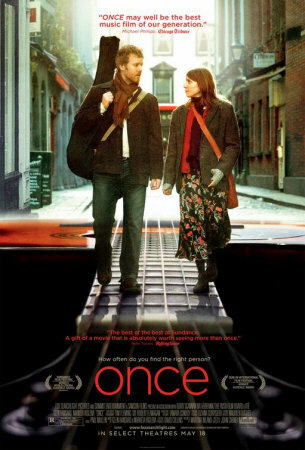 Very sweet Irish movie about a guy and a Czech immigrant girl who write and record some songs together. In week, they meet, tentative sparks smolder generating some wistful music, and then they go their separate ways. The music is fantastic and you really get to listen to a lot of it. The love is unrequited and their tender hearts are both recovering from heartache. Kind of a chick flick with some indie singer/songwriter sensibility.